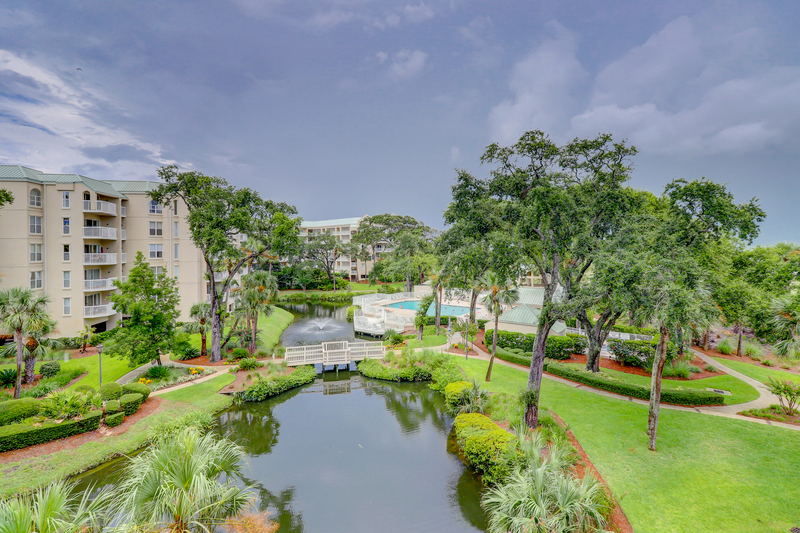 Located on the third floor of the Barrington Court building, 310 Barrington features panoramic views of the lagoon, pool and grounds with the ocean beyond. 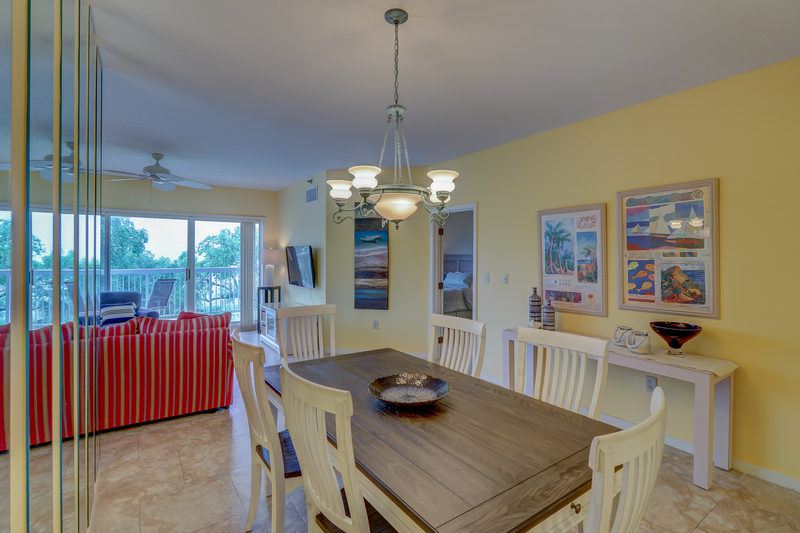 This villa features new dining room and master bedroom furnishings for summer of 2018! 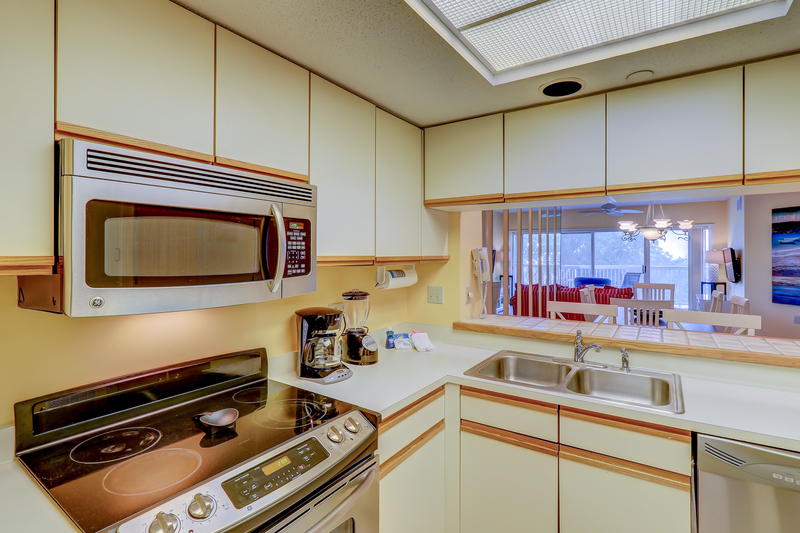 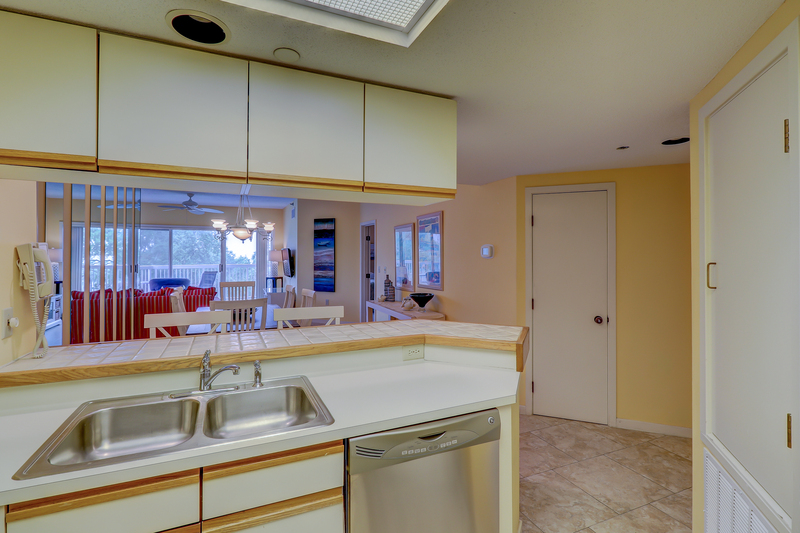 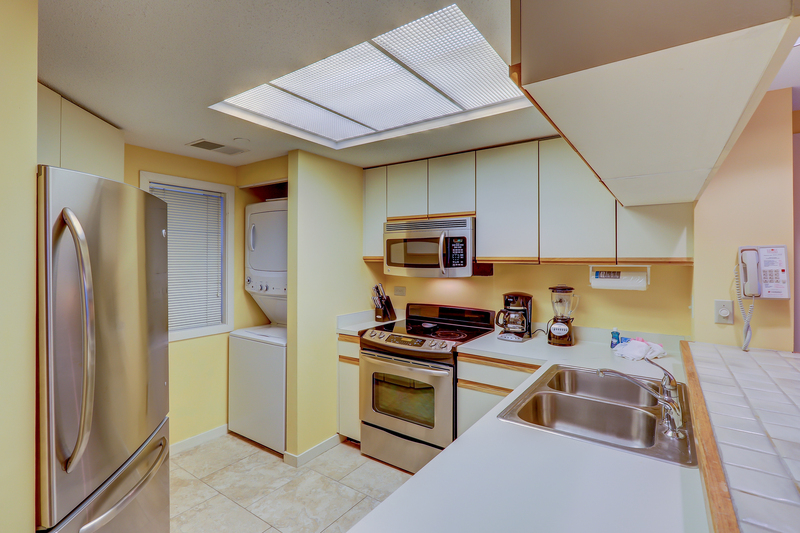 Tile flooring spans the kitchen, living and dining areas and bathrooms. 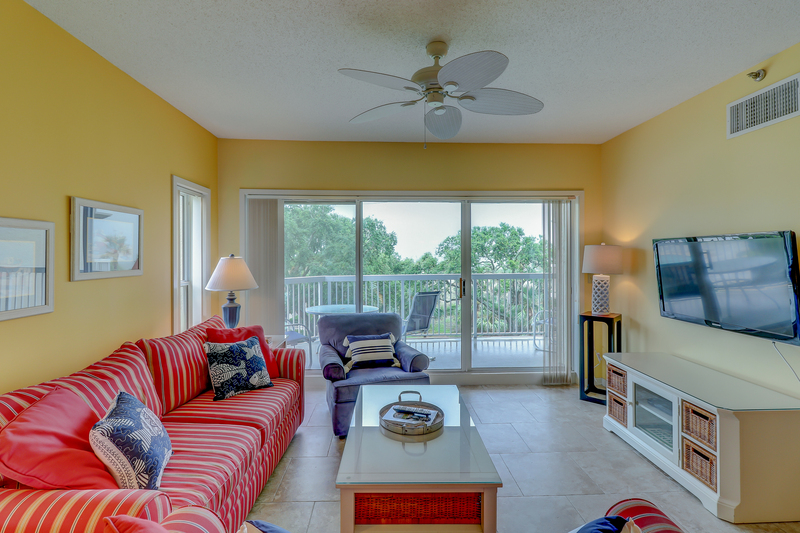 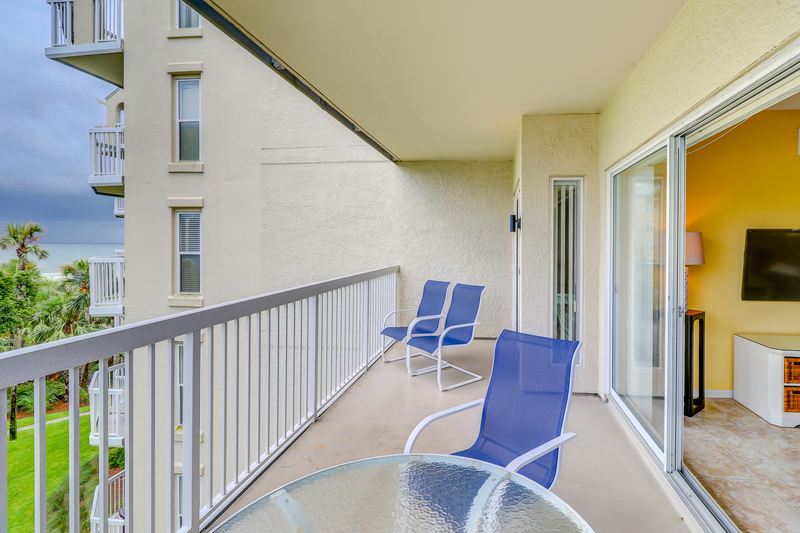 The living room features a 45" flat screen TV and DVD player, comfortable furnishings and access to the private balcony. 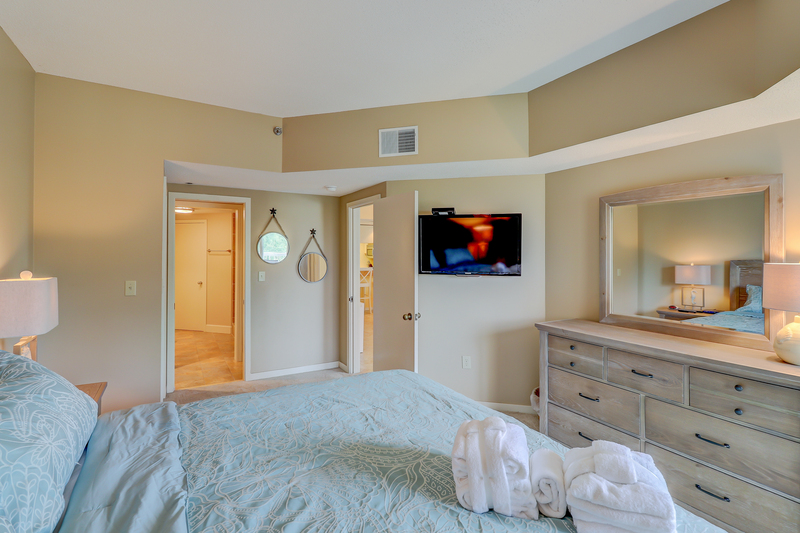 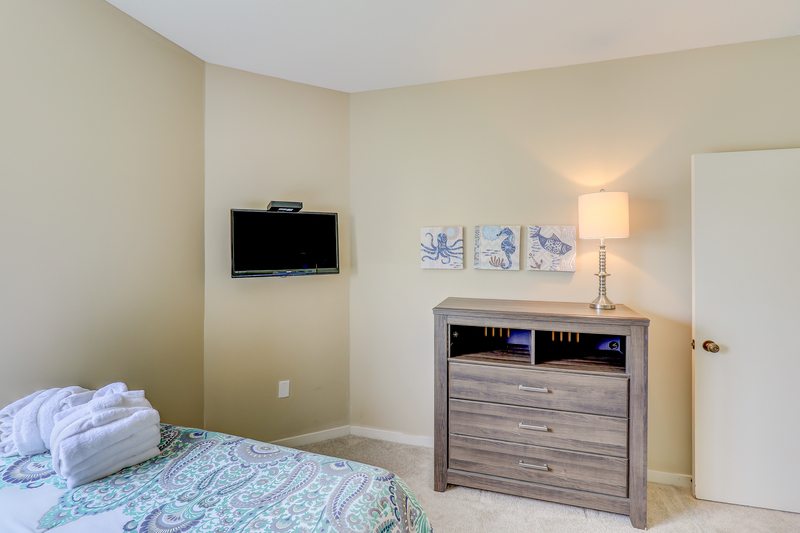 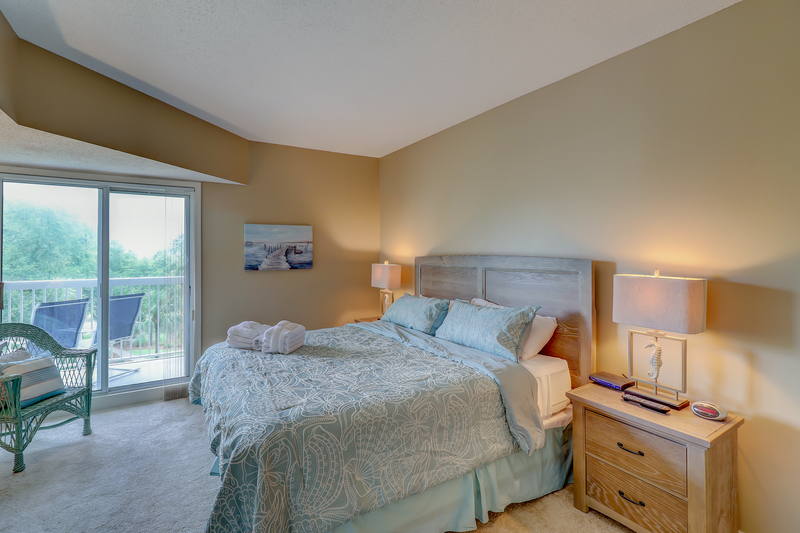 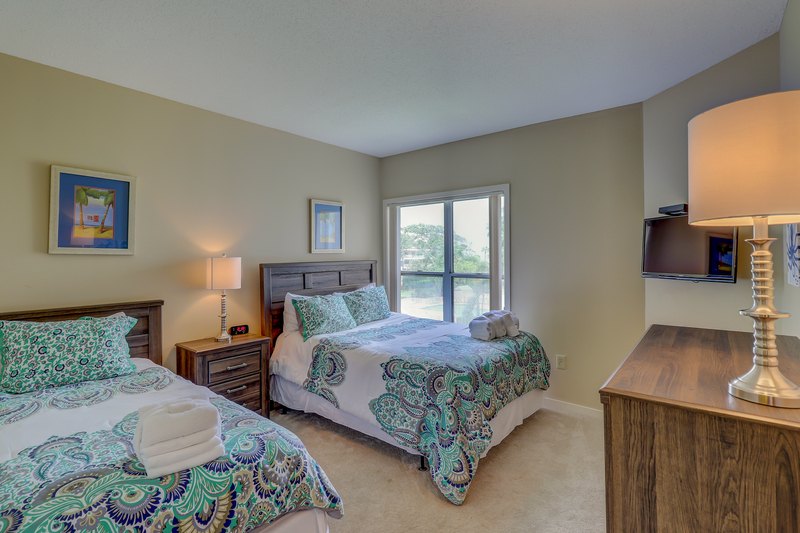 The master suite features a king size bed, 40" flat screen TV, as well as a private bathroom. 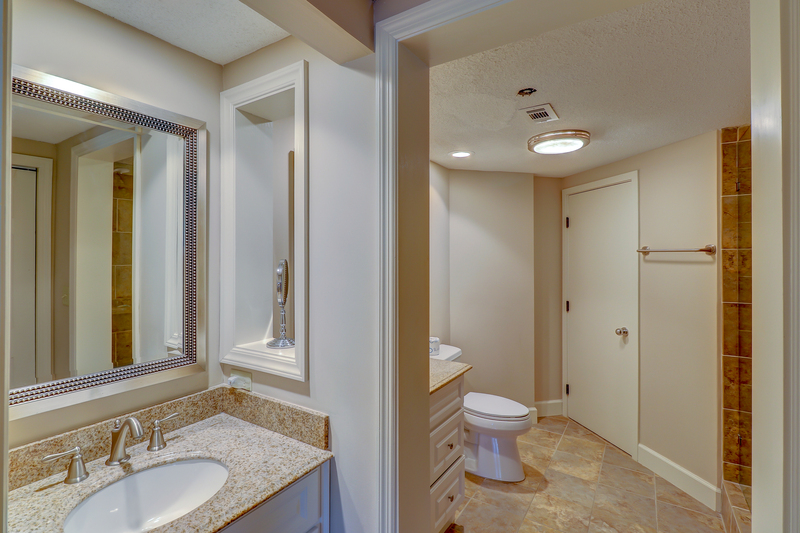 This recently renovated bathroom features two vanity areas and a large walk-in shower. 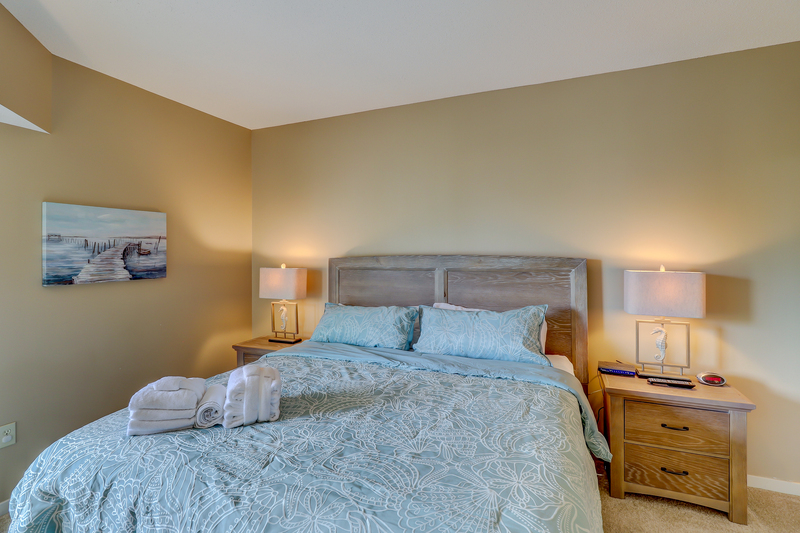 The guest bedroom features a queen and a twin bed, wall-mounted flat screen TV and access to the hall bath also with Jacuzzi tub/shower combo. 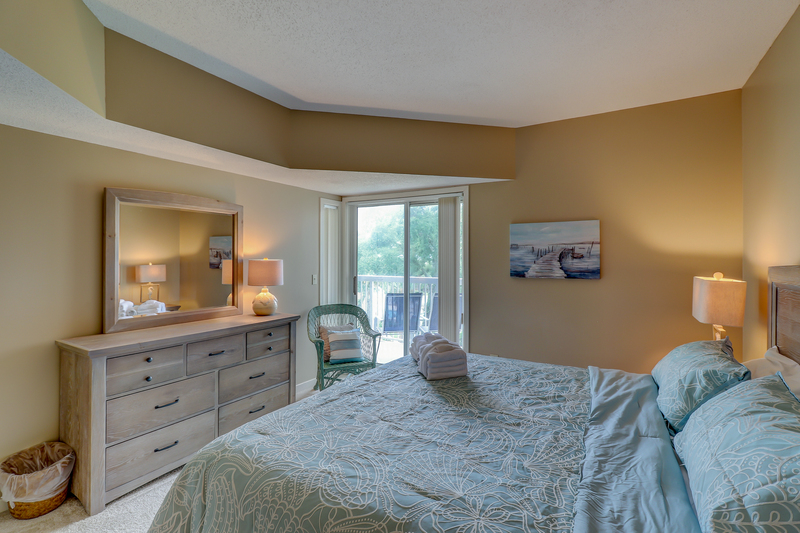 Both the master and guest bedroom showcase views of the ocean and grounds. 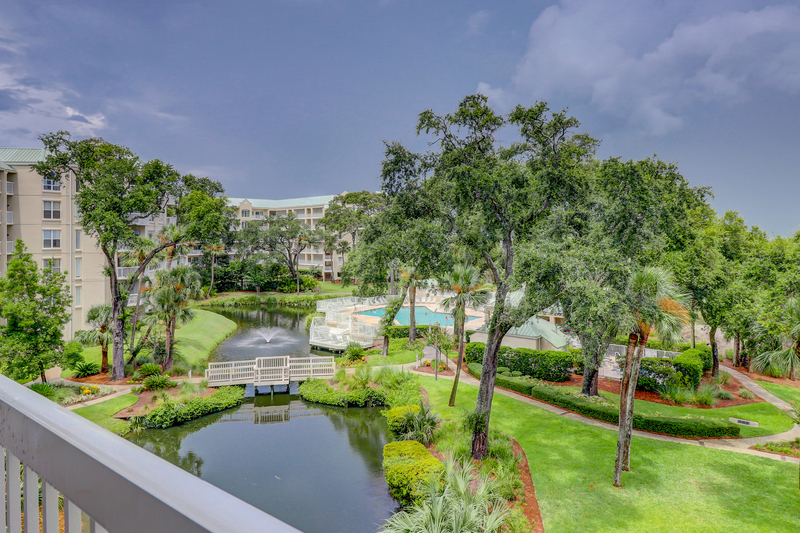 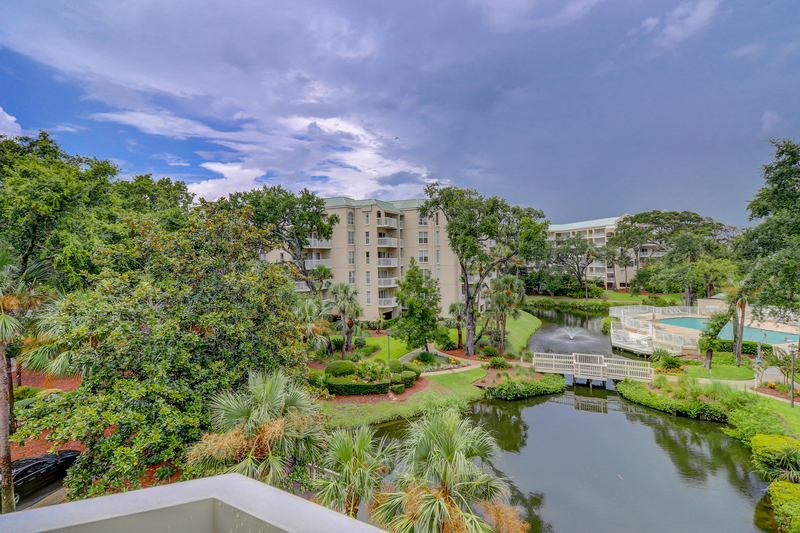 Splashing fountains greet you upon your arrival to this lovely complex composed of three distinct sections- two 5-story oceanfront buildings, Barrington Arms and Barrington Court, and four 2-story buildings, Barrington Park, that circle a lagoon. 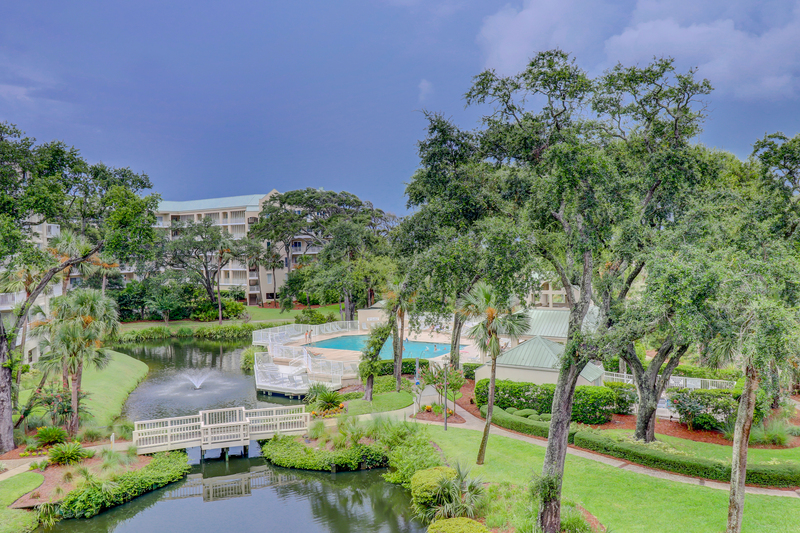 Manicured grounds, native live oaks, palmettos and a lagoon with an observation deck and benches surround the pool area. 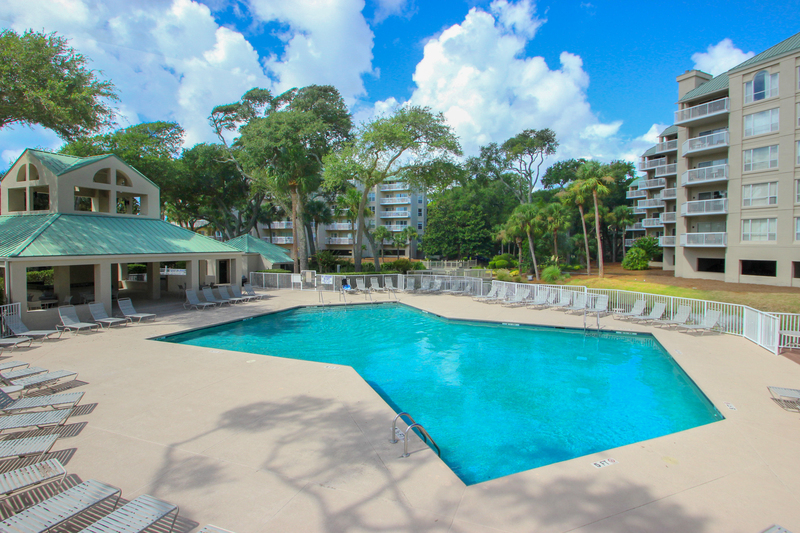 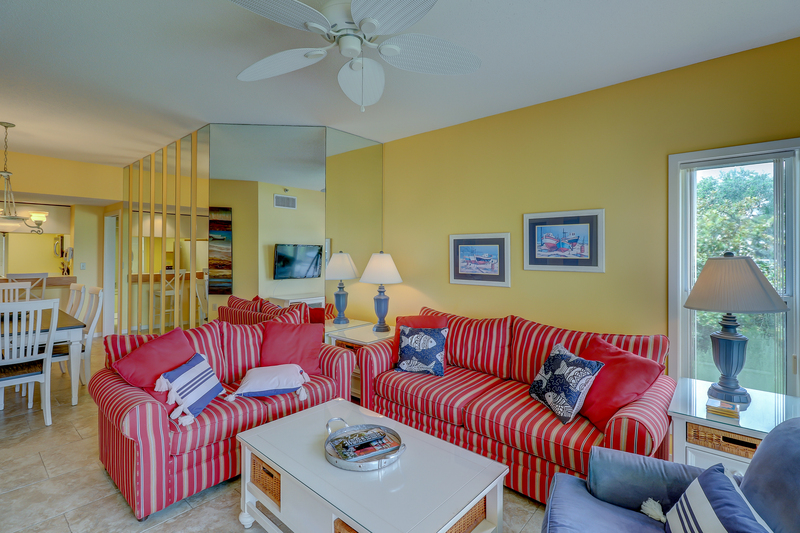 The large oceanfront pool (heated seasonally) has extensive sunbathing decks and a covered gazebo with two grills, counters and seating for picnics. 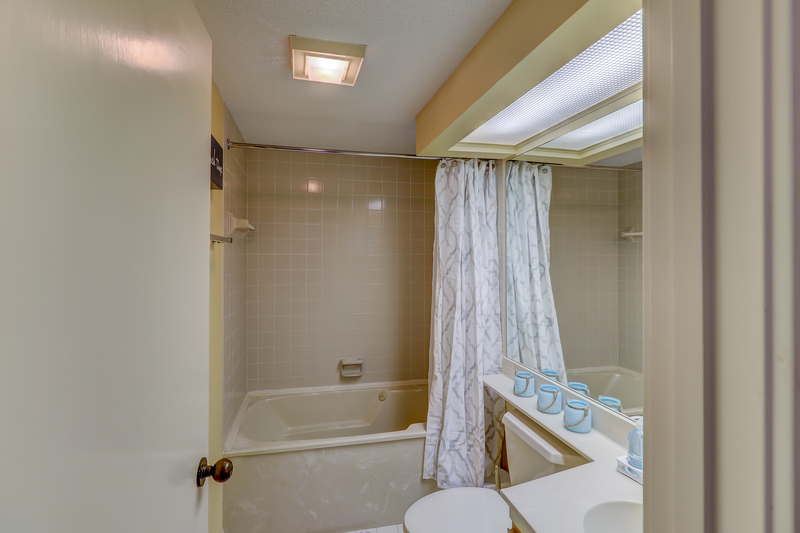 There are adjacent bathrooms and an enclosed poolside hot tub. 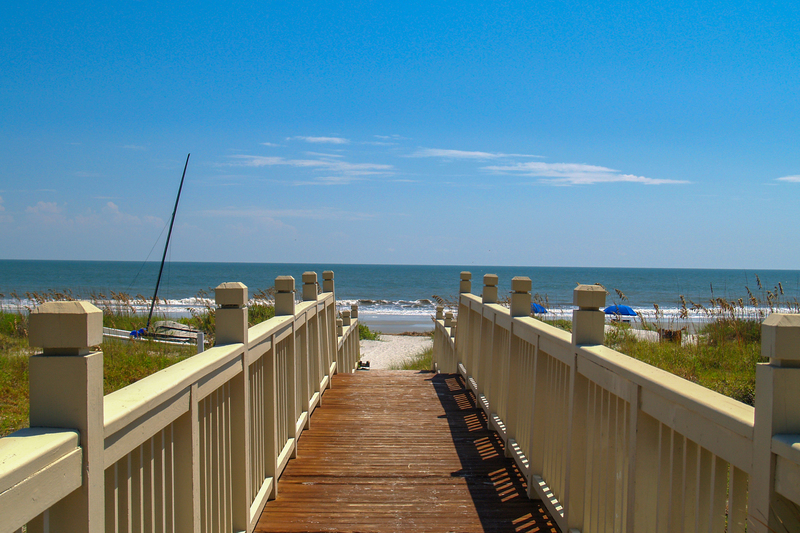 Paved walkways lead to two private boardwalks over the sand dunes to the beach. 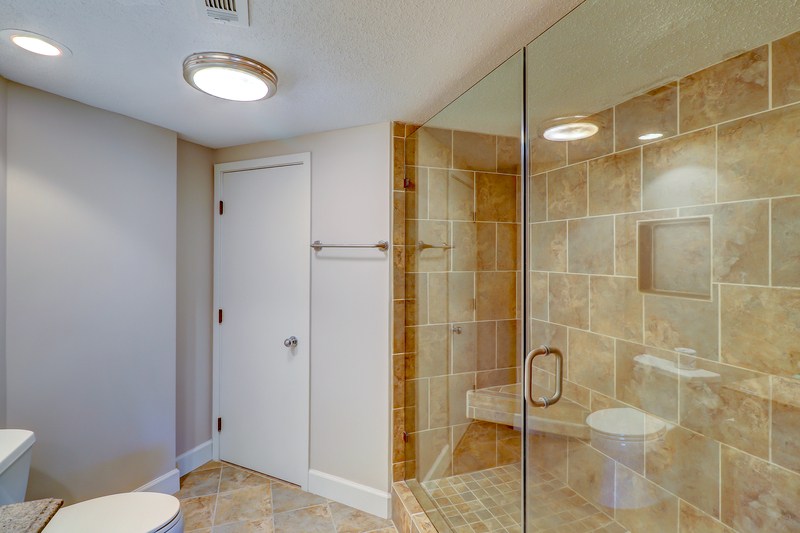 Convenient showers are available to wash off after a sandy day at the beach. 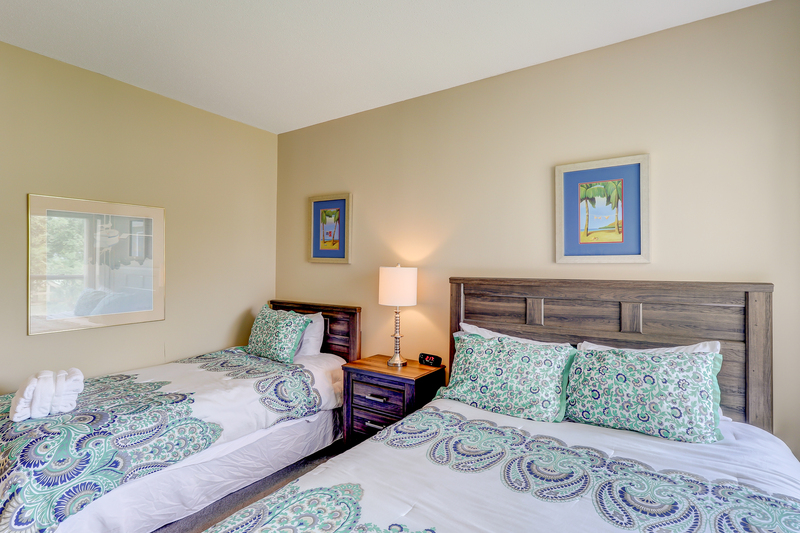 Our family absolutely loved everything about our stay at Barrington Arms court. 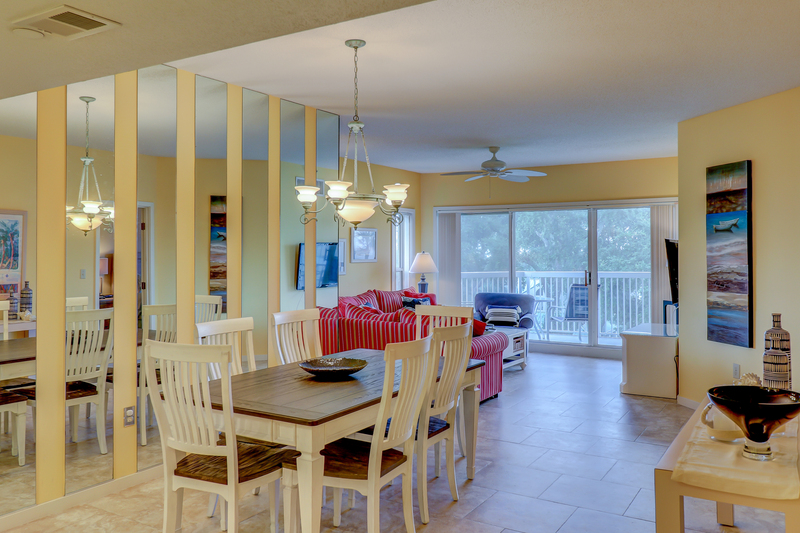 The condo itself was very clean and the location was just perfect. 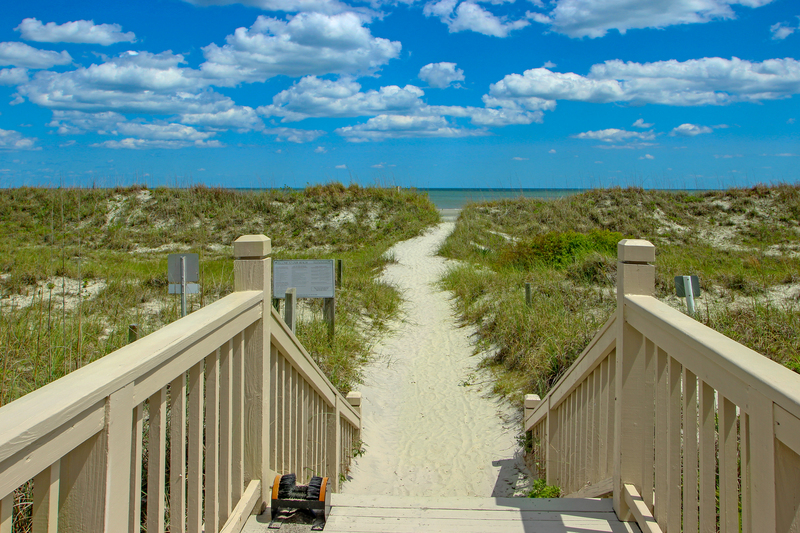 Standing on the deck we looked out to the beautiful Atlantic Ocean. 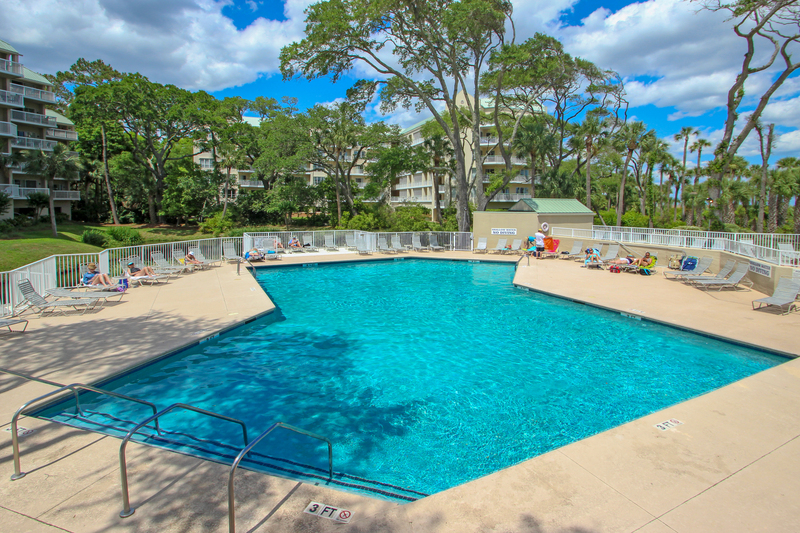 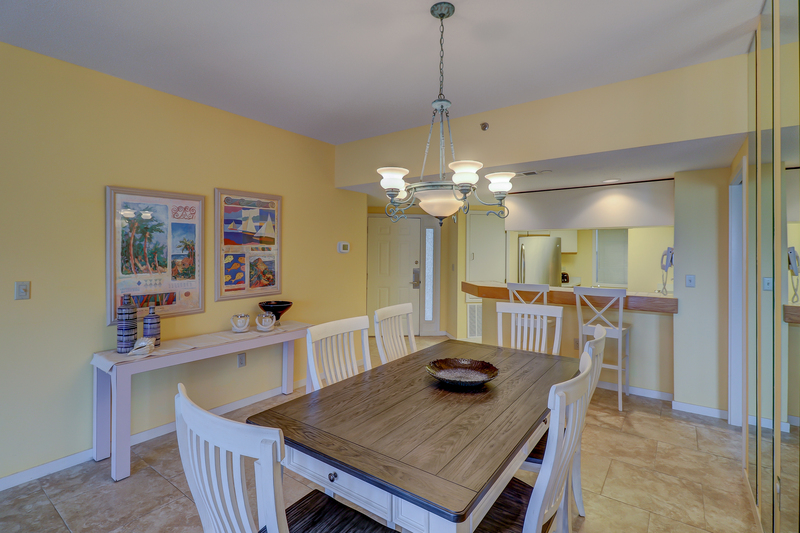 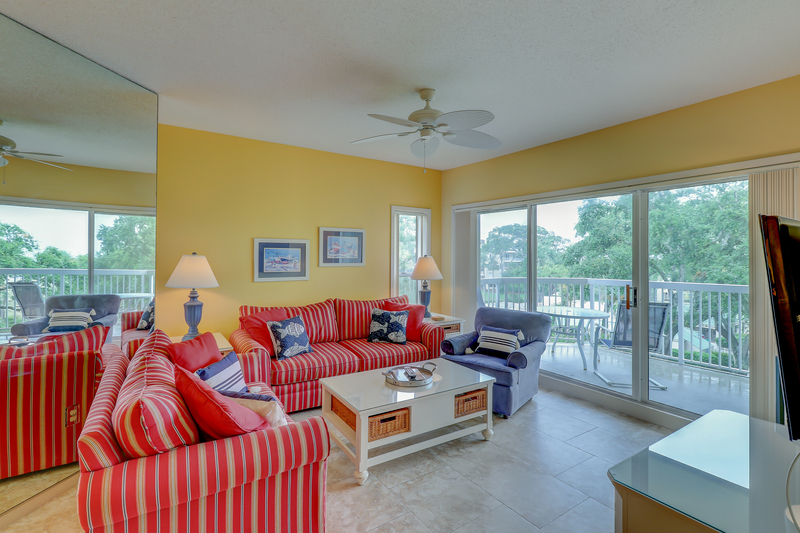 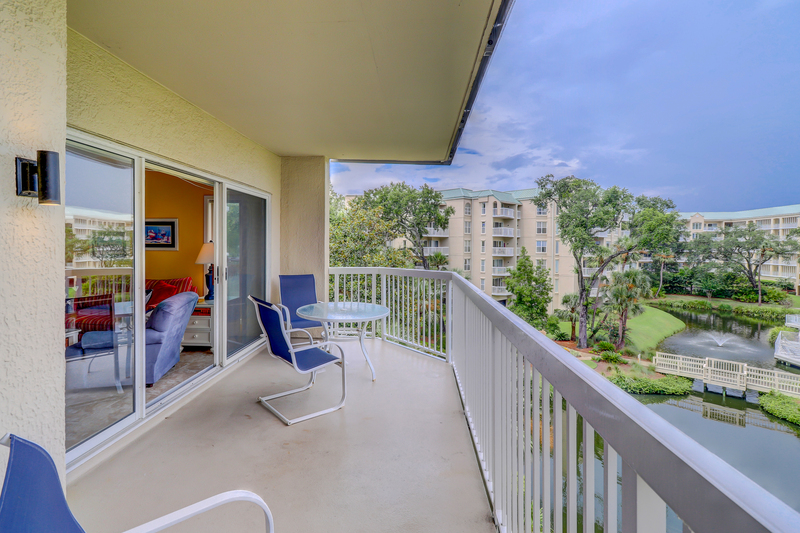 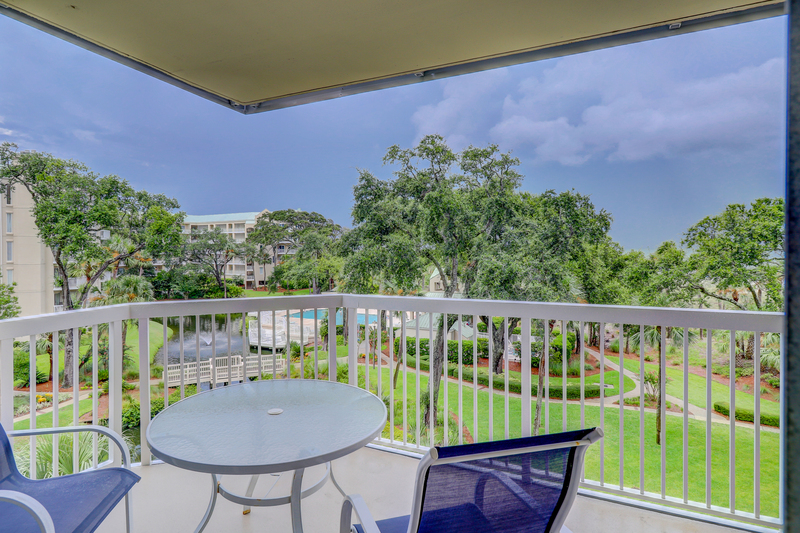 I highly recommend using Resort Rentals of Hilton Head for your booking. 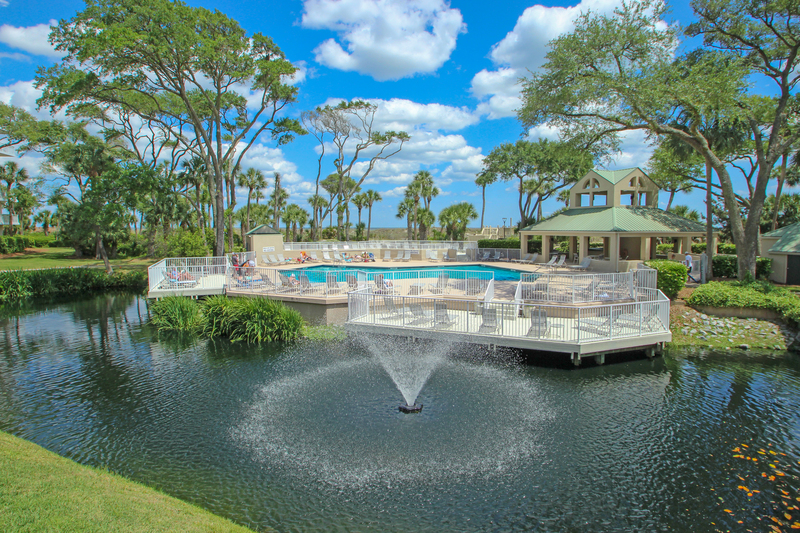 We stayed here a while ago but i was beautiful! 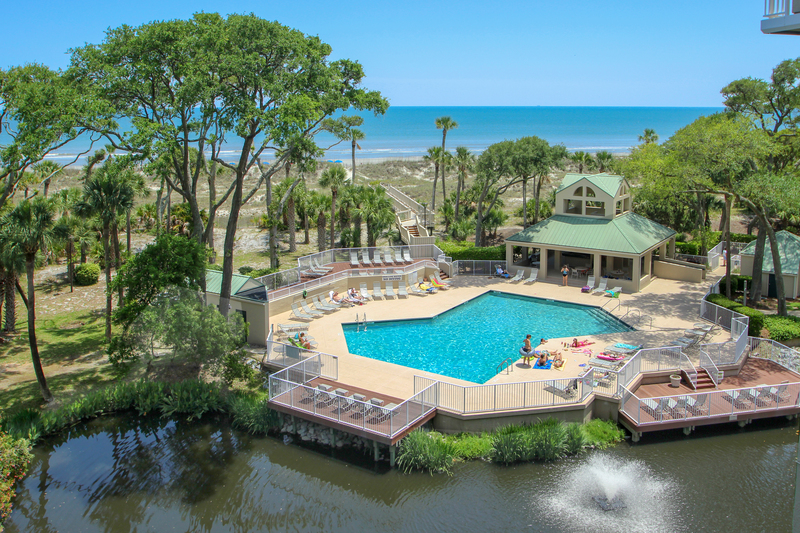 No better way to spend vacation then laying out on the patio and looking over into a nice pool and a beautiful beach! 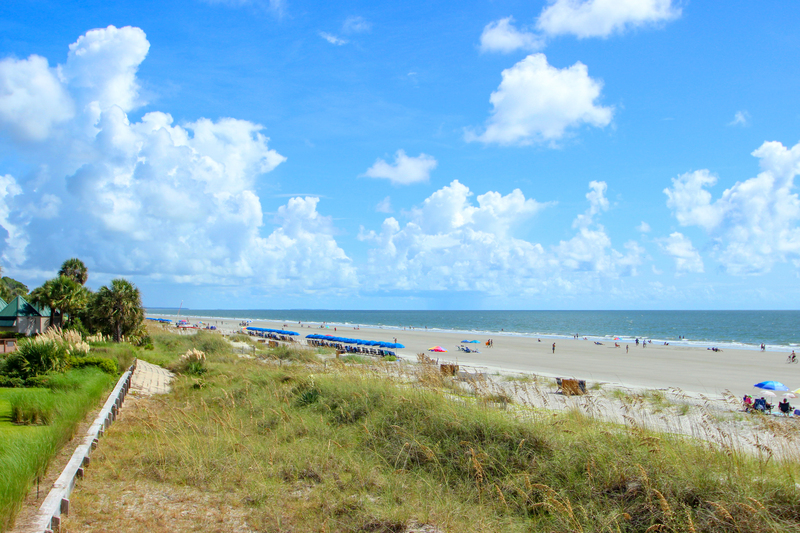 Would not hesitate to come back here! 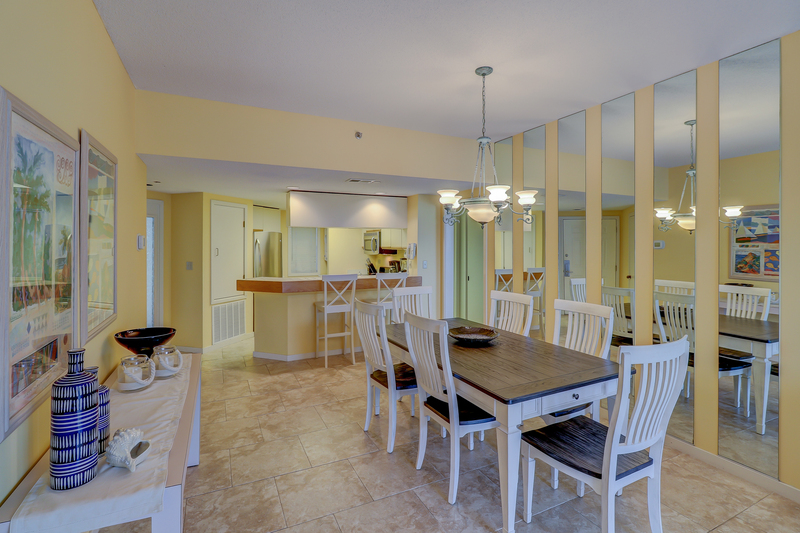 Condo was very clean and the decorations were adorable.